From our Bookstore Family to yours, Merry Christmas and Happy New Year! We will be CLOSED for Christmas until Monday, December 28, when our regular store hours will resume at 9:30am. On Thursday, December 31, we will be OPEN from 9:30am to 3:00pm and we will be CLOSED on Friday, January 1. Our regular store hours will resume on Saturday, January 2. 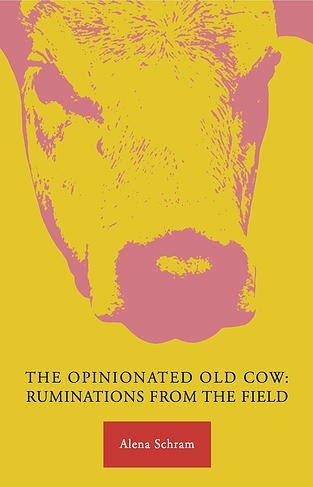 Alena Schram will be in the store on Saturday, December 19 from 1:00-3:00pm to sign copies of her book The Opinionated Old Cow: Ruminations from the Field. It’s the perfect (and funniest) stocking stuffer for anyone on your Christmas shopping list! 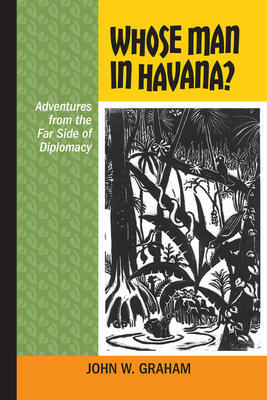 Local author John Graham will be in the store on Saturday, December 12 from 11:00am to 2:00pm to sign copies of his highly anticipated book Whose Man in Havana? Snacks and refreshments will be served. We look forward to seeing you here! 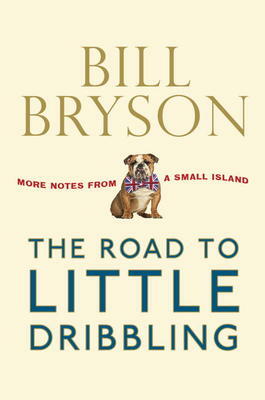 Bill Bryson was born in Desmoines, Iowa, in the U.S. When he was twenty, he set off on a hitch-hiking tour of Europe. On his way home he stopped at Dover, England. Here he met congenial friends who offered him a job in a hospital. While there he met, and married a pretty English nurse – and never came home again. He had fallen in love with England and spent the rest of life as a journalist, and writing books in which he tells of his love for his adopted country. These books have become best-selling travel books, not only because Bryson is a deft historian and his curiosity is infectious but because he has a very amusing way of writing. Some of the best-known are The Lost Continent, Neither Here Nor There, and Notes from a Small Island. In the last one, he went on a trip around England to celebrate the lovely green land he had chosen to live in. In this new book, his publisher asked him to make another trip and see what if anything had changed. Bryson charts a line from the bottom of England, a town called Bognor Regis, to the top, a spot called Cape Wrath, just over seven hundred miles. He calls it Bryson Line and includes an excellent map showing his ports of call. By rented car, bus and train he describes his trip, not neglecting Dover, where he landed many years ago. He is a gregarious visitor and the book is full of amusing things that happen to him. But at the base is a real love for the beauty of the countryside, full of trails for walking and dotted with pubs for relaxing. It makes for delightful reading. This is an intriguing book that takes you into the houses where some of Britain’s most famous writers did their work. The illustrations are in colour, so we get a vivid shot of Dylan Thomas’ Boat House, perched on the hillside at Laucharne in Wales where he looked over a beautiful expansive estuary, or the cottage where Robbie Burns was born and brought up or, again, the hidden West country retreat of Agatha Christie. There is an excellent photograph of Shakespeare’s home in Stratford-on-Avon, a long, half-timbered house in Henley Street that his parents bought in 1552. Shakespeare was eighteen when he married Anne Hathaway and they lived in Henley Street for some years. The house became a showplace for visitors, but in 1847 the American showman, P.T. Barnum, tried to buy the building and move it to the United States. Charles Dickens led a campaign to save the house and was successful. 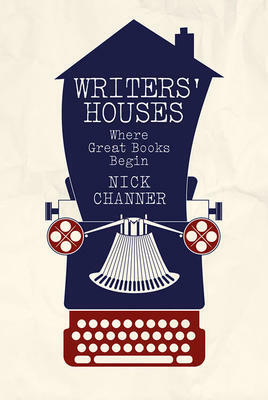 Nick Channer is a full-time author who lives in the heart of England, not far from Shakespeare’s birthplace. He has a special interest in the influence of place on creative writers. He contributes to many publications, including the Daily Telegraph, Country Life and the Scots Magazine. In this book he explores the architecture of these writers’ homes, and looks at the influence of the various rooms on their writing. It gives a special look at many of the great literary figures from Tudor times to the late twentieth century. 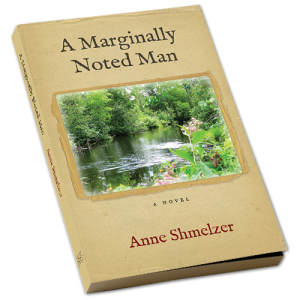 Local author Anne Shmelzer will be in the store on Sunday, December 6 from 1:00-3:00pm to sign copies of her brand new book A Marginally Noted Man. Be sure to come by and visit us to meet this great new author! Coming up on Saturday, December 5, we will have two great local authors in the store to sign copies of their new books. 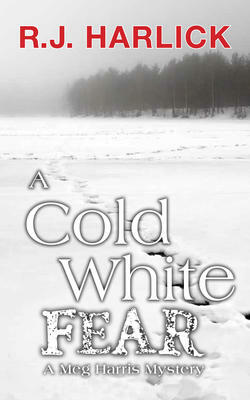 From 11:00am to 1:00pm, local mystery writer R.J. Harlick will be in the store to sign her newest Meg Harris mystery, A Cold White Fear. Susan Meehan will be in the store from 1:00pm to 3:00pm signing her new novel Maggie’s Choice. We hope you’ll be able to stop by this weekend for these great events!